The `uli`uli are percussion instruments used by both male and female dancers, usually in high-paced rhythmic performances. 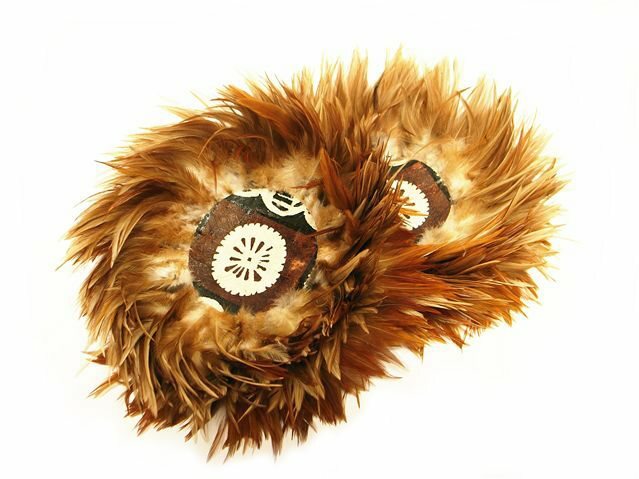 Our `uli`uli have brown tapa pattern centers with surrounding brown feathers. stand-alone `Uli`Uli (feathered gourd rattles).